Tropical Storm Hanna is out in the Atlantic and is not expected to affect any land for a number of days. 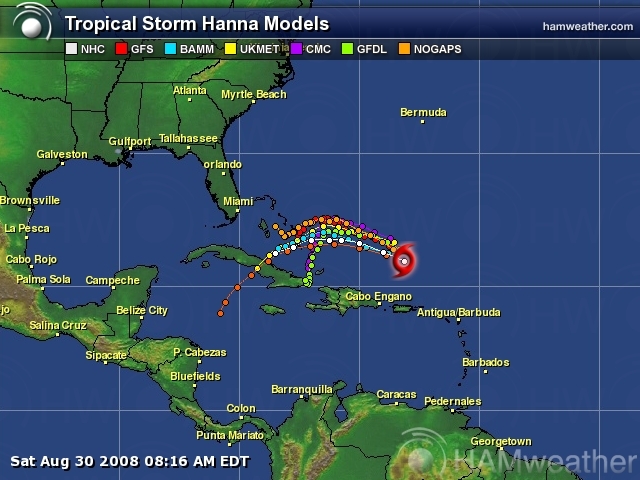 Computer models suggest that sometime over the next week, Hanna is expected curve back to the southwest where the storm will head towards the Bahamas and then possibly Cuba. Southeast Florida is still within the ‘cone of uncertainty’. Tropical Storm Hanna was located near 21.9 north and 66.3 west, or 240 miles north of San Juan, Puerto Rico. 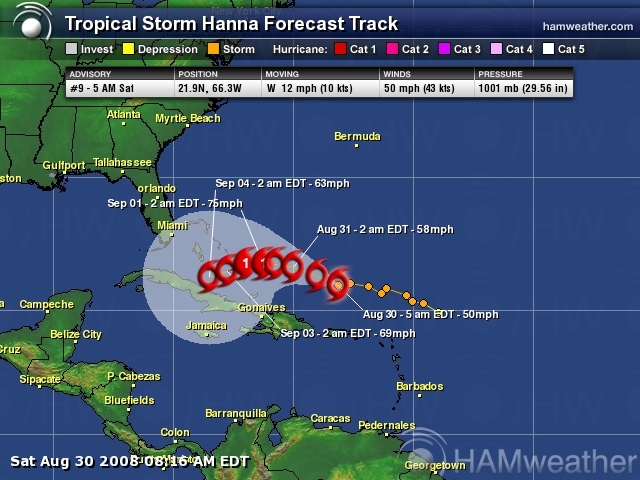 Hanna is moving to the west at 12 mph with maximum-sustained winds estimated at near 50 mph. 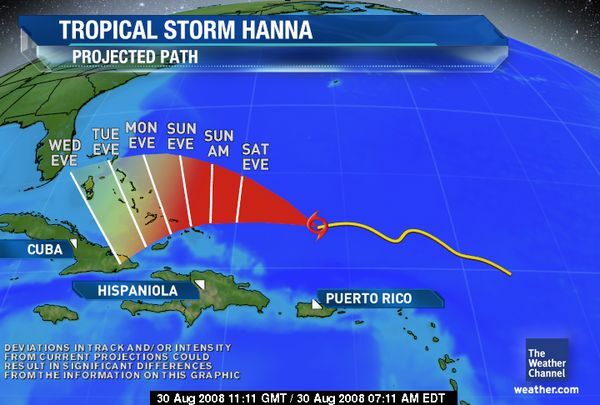 The estimated pressure in Hanna is 1001 millibars, or 29.56 inches. 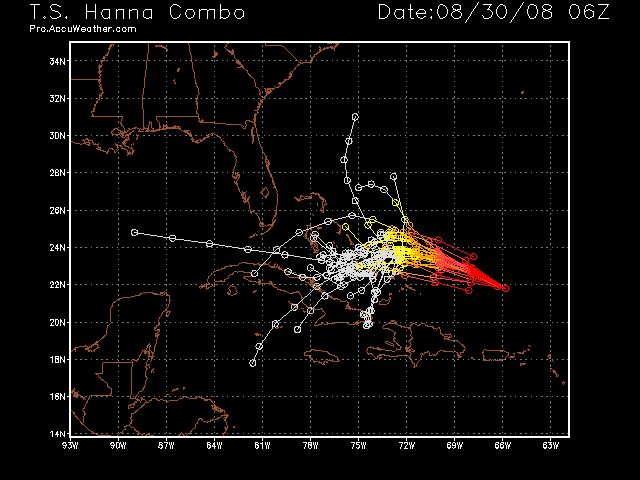 Hanna is experiencing strong, westerly shear and will probably not intensify much during the next 24 hours.